A prominent rabbi; born about the close of the sixteenth century; died in Lemberg, June 18, 1643. He was president of a rabbinical college in Lemberg. 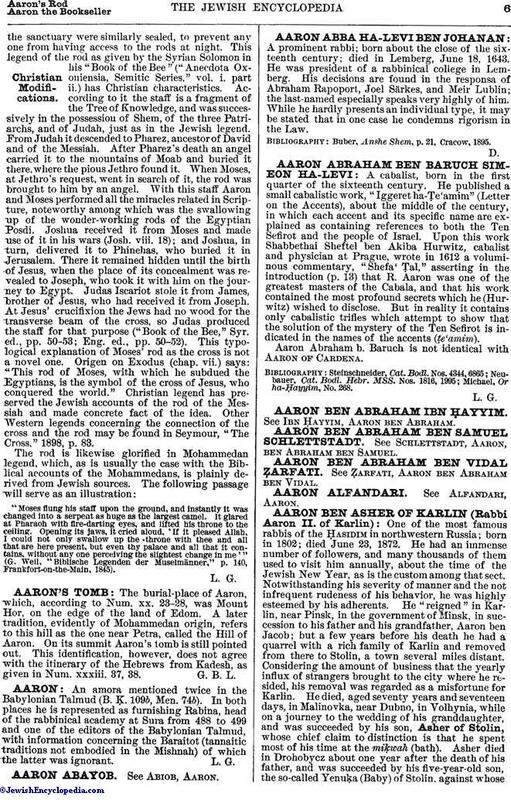 His decisions are found in the responsa of Abraham Rapoport, Joel Särkes, and Meir Lublin; the last-named especially speaks very highly of him. While he hardly presents an individual type, it may be stated that in one case he condemns rigorism in the Law. Buber, Anshe Shem, p. 21, Cracow, 1895.